But will they ever replace the cabeceo?.. “It is astounding Brown. 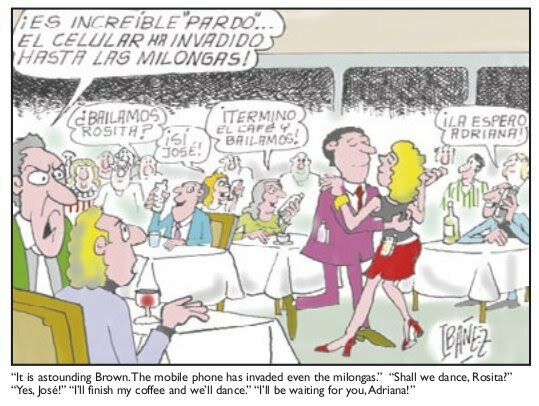 The mobile phone has invaded even the milongas.” “Shall we dance, Rosita?” “Yes, José!” “I’ll finish my coffee and we’ll dance.” “I’ll be waiting for you, Adriana"